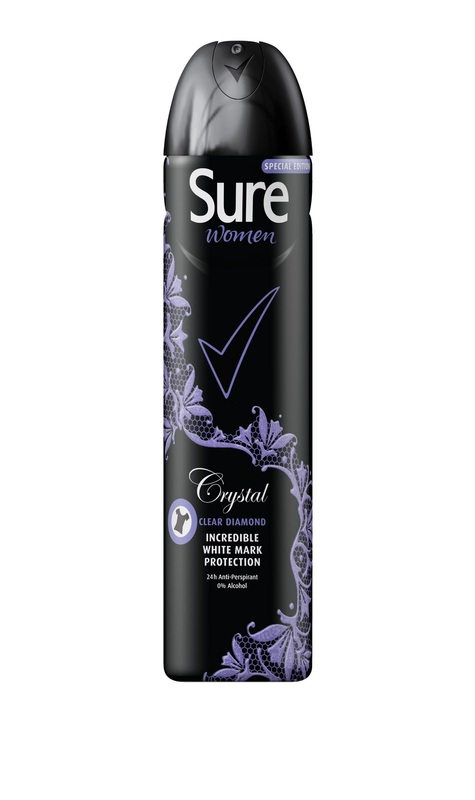 Sure & Dove Black & Blog event: win a goody bag! A couple of weeks ago I went along to an event being held by Dove & Sure deodorants. Now whilst deodorant is hardly the most glamorous of beauty related products to write about, they are actually something I quite like to cover on the blog – as I like to write about everything beauty related from the basics to the luxe make-up collections. Especially since, to me, deodorant is just another part of the world of fragrance and the scent of a deodorant is something just as personal as a persons perfume choice. 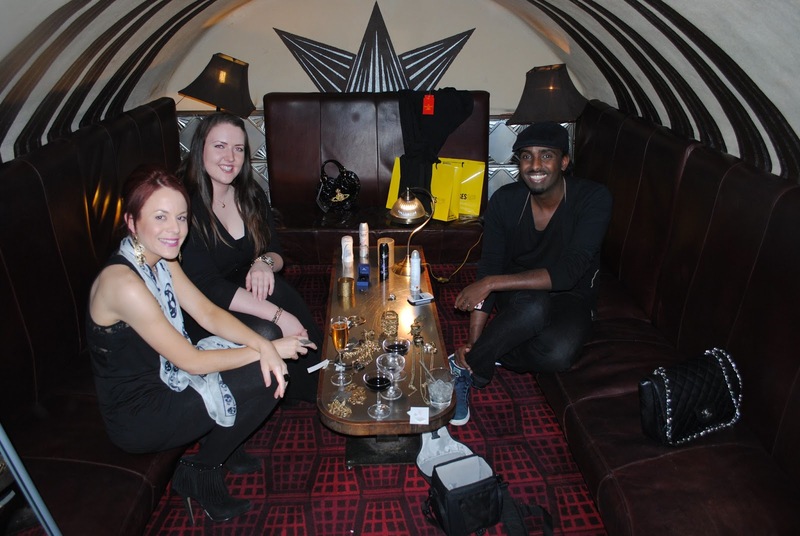 Anyway, I digress – the event was a ‘black ‘n’ blog’ evening, based around the launch of the two deodorants that promise no white marks. Nothing that new or revolutionary for a deodorant brand to claim, but pretty essential all the same. 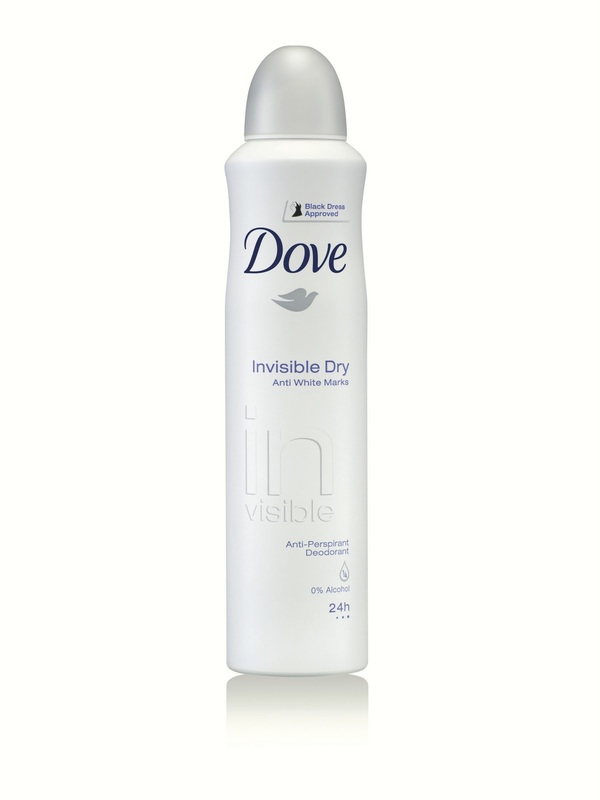 To be really honest the appeal of the event for me was the Dove brand, which I really do like. I adore the scent of the original Dove products. A beautiful, classic black wrap dress with a quirky Vivienne Westwood twist. The only teeny tiny downside is that when I tried it on, I discovered I sadly did not have the sleek, statuesque figure of the model pictured and so the dress fell to my mid-calf rather than knee. Yep, that’s how much shorted I am than a model. Depressing. But the lovely PR who organised the event has been very helpful & sent the receipt so I can exchange the dress for a size/style that suits me. Regardless of the shock discovery that I am not a 6ft catwalk model (ahem), I am still beyond over the moon to have won a beautiful designer dress. It will be treated with so much love that the boyfriend may get a little jealous. There’s me with the yellow bag of happiness next to me! 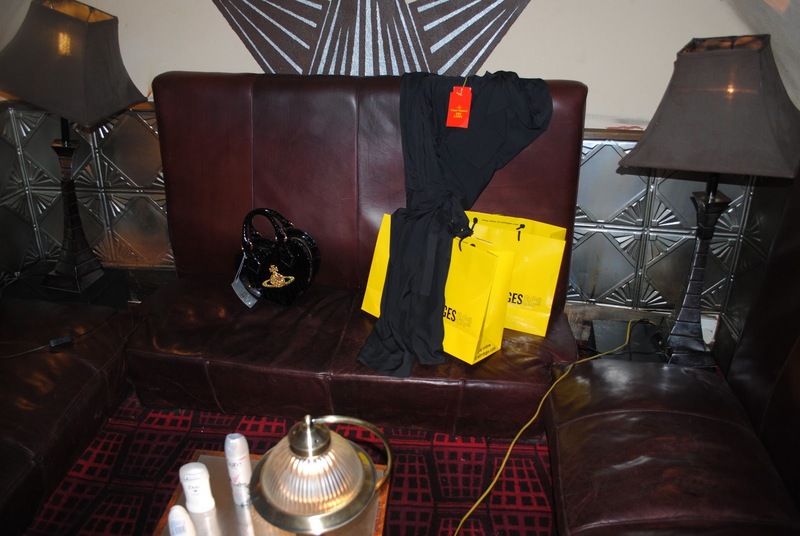 The style booth at the event. Post-event, I have tried both deodorants out and can completely vouch for the fact that there are no white marks to be seen. On the fragrance side I do still prefer the Dove over the Sure as find it a little softer/less noticeable so less likely to interfere with my perfume. But again, this is a personal choice thing. Q: What three beauty products would you take to a desert island? – Winner will be contacted directly after the close of the comp, if I don’t get a response within 3 days a new winner will be chosen. Goody bag provided by PR for giveaway. Products mentioned are PR samples via event. Next Post Nails of the MONTH: Artistic Colour Gloss. and a hair brush, if that counts hehe. and definately some deodarant…hey its a desery island, its bound to be hot eh? haha. Congrats on winning the dress – so lucky! 2. Philosophy Vanilla Birthday Cake 3-in-1 (it smells amazing, plus I can wash my hair with it, bathe in it & shower with it!) The bottle will last ages too! Shame the dress didn’t fit 🙁 Let us know what you get instead! I would take a Simple moisturiser, my Body Shop passion fruit exfoliator and tweezers! 1. Be Somebody shampoo, shower and bath gel. By Philosophy. 3 in 1 saves space. 3. Elizabeth Ardens 8hr cream, can be used on dry skin and grazes and lasts forever. 1. High factor sun cream. I am very fair and “tomato” is not a good look! 3. Chanel allure sensuelle – I love this scent and always fell ” dressed” when I’m wearing it! ummm..is toothpaste a beauty product is that like just personal hygenie? I would take Olay complete care bcz it has SPF15 n its a great moisturizer, mascara and MAC powder foundation. I would take Elizabeth Arden 8 hour cream, Stila colour convertible and Clinique Moisture surge. 3-Sunscreen, because you need it in a desert island!